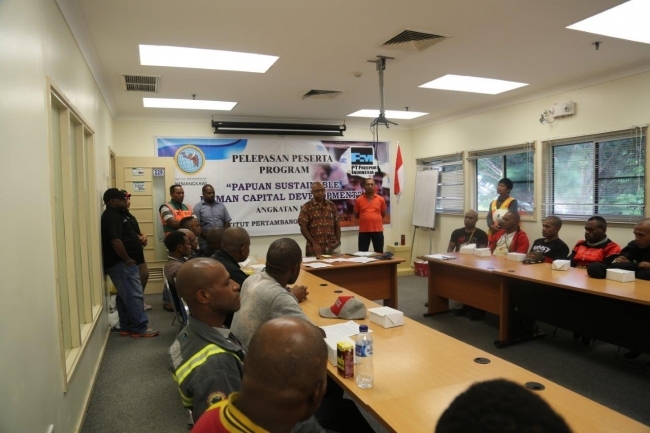 The Nemangkawi Mining Institute, which is fully funded by PTFI, has more than 20 vocational courses offered to the 900 active apprentices enrolled in the program. Included in the program is a three-year Commerce Administration program in collaboration with the Semarang State Polytechnic Institute. There also is a two-year Master’s of Business Administration program in collaboration with the School of Business and Management - Bandung Institute of Technology. To learn more about how Freeport-McMoRan supports local hiring and skills development, visit fcx.com.